A Division Bench of Bombay High Court on Friday struck down two amendments to the Maharashtra Animal Preservation Act, 1976, while upholding the constitutionality of the rest of the amendments. It declared Section 5D (incriminating possession of flesh of any cow, bull or bullock slaughtered outside the State of Maharashtra) and Section 9B (casting negative burden on the accused) as violative of Article 21 of the Constitution of India. The Bench, comprising Justice A.S. Oka and Justice S.C. Gupte was hearing a challenge to various provisions of the 1976 Act, as amended by the Maharashtra Animal Preservation (Amendment) Act, 1995. 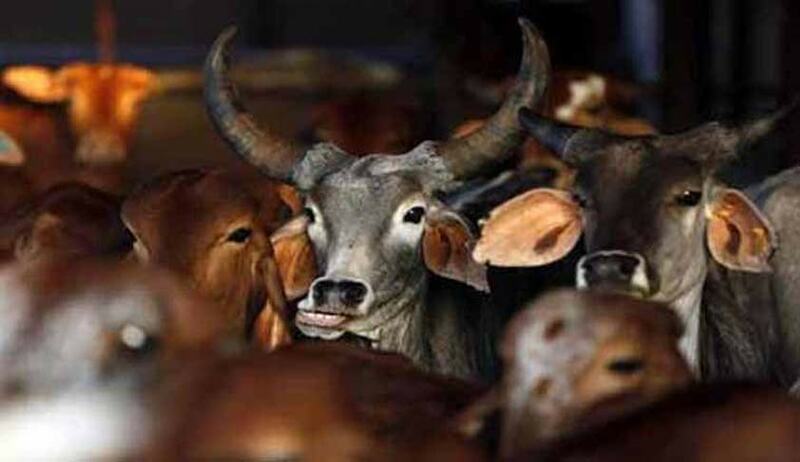 By the amendment Act, in addition to the existing prohibition on the slaughter of cows, a complete prohibition was imposed on slaughter of bulls and bullocks in the State. A ban was imposed on possessing the flesh of cow, bull or bullock slaughtered within and outside the State. Further, by introducing Section 9B, a negative burden was put on the accused at the trial of certain offences. The petitions primarily challenged Section 5D, contending that it constitutes a clear infringement of their right to personal liberty, which they submitted, includes right to eat food of one’s choice, and privacy as guaranteed under Article 21 of the Constitution of India. They also submitted that Section 5D has no nexus with the objects and purposes of the Animal Preservation Act. It was further submitted that the State had failed to plead and establish any compelling public/State interest to justify the enactment of Section 5D. The petitioners had also challenged Section 5D and 5C (incriminating possession of flesh of any cow, bull or bullock slaughtered in contravention of the provisions of the Act), on the ground that if the word “possession” used in the two provisions is not read down to mean as “conscious possession”, the provisions will be rendered unconstitutional. The two provisions were also contended to be violative of the constitutional right to carry on trade and commerce, in contravention of Article 301, read with Article 304B. Petitioners had also invoked Article 25(1) of the Constitution of India, submitting that slaughtering of cattle on the occasion of Bakri-Eid and every festival is a religious practice which is protected under Clause (1) of Article 25 of the Constitution of India. A challenge was further levied against Section 9B, which imposes onerous negative burden on the person who is found in possession of such meat. On the other hand, the Advocate General had submitted that the right to eat cannot be stretched to cover the right to choose a particular kind of food. The AG attempted to find justification for the provisions in compelling public interest. He submitted that the Amendment Act was enacted by the legislature, keeping in view the directive principles of the State Policy embodied in Article 48 and 48A and the Fundamental Duties enshrined in Clause (g) of the Article 51A of the Constitution of India. Considering the arguments, the Bench declared Section 5D and 9B of the Amendment Act as unconstitutional. Section 9B was struck down as unconstitutional, as violative of Article 21 of the Constitutional of India for not being fair, just and reasonable. While upholding the Constitutional validity of Section 5C, the Court observed that the possession contemplated by the provision shall be conscious possession. “It will be a possession with the knowledge that the flesh is of cow, bull or bullock which is slaughtered in contravention of section 5 of the Animal Preservation Act,” it ruled.